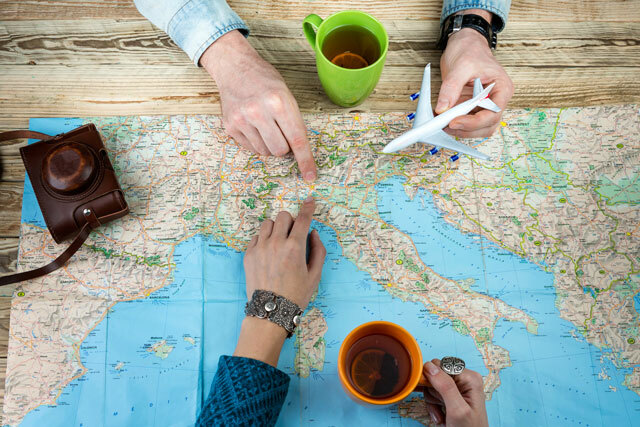 Do you want to take a more active role in planning your trip to Italy? Then customized Italy vacation packages are the perfect option for you. With these custom tours, we allow you to make the decisions on where and how exactly you will spend your time in this vibrant country. For these custom tour packages in Italy, we offer a wide range of options, starting which specific cities and towns you want to visit. Then you get to choose the attractions you’d want to visit or activities you want to participate in, such as museum tours, cooking lessons, or biking. And last but not the least, you can also select which modes of transportation you want to take around the country. On top of that, you can also go for a themed Italy tour package—just leave your name and contact details below, and we’ll get back in touch with you ASAP.